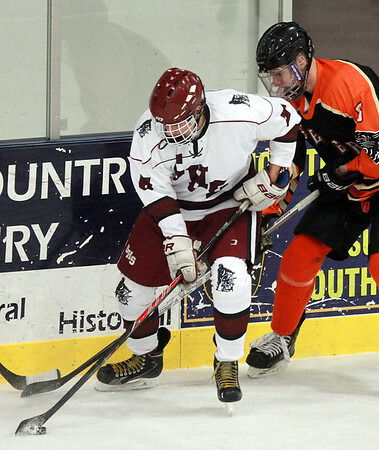 Gloucester senior forward Jack Nicastro (6) digs out the puck along the boards and shields it from Beverly senior Brendan Boyle, right, during the first period of play. DAVID LE/Staff photo. 2/4/15.